Brand new piano purchased on 12712. I played it a few times and decided this is not the hobby for me. I still have the original packing box, user guide and warranty information which I never used or filed, and sustain pedal. Guitar Center listing is 399.00 brand new, but willing to let it go for 300. 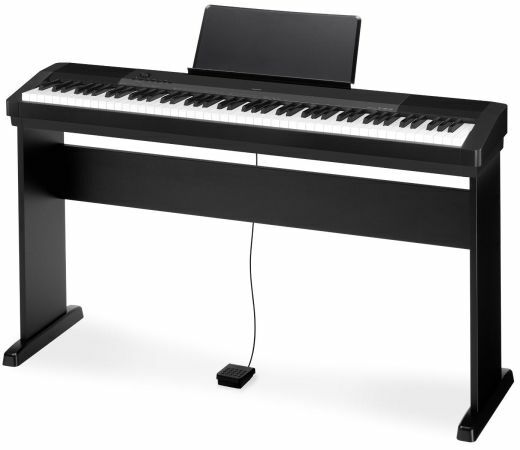 Casio CDP-120 88 Weighted-Key Digital Piano Retail $400Also comes with-Gear One G100DX Isolation Headphones Retail $30-World Tour Single X Keyboard Stand Deluxe Bench Package Retail $55The items have hardly used and are in excellent condition.